At Top Notch Events, the picnic catering at your company picnic is taken to a new level with a beautifully displayed buffet. 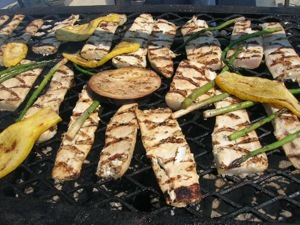 Your foods are prepared fresh on location by our grill masters and catering staff. Only the freshest meats are chosen, seasoned and then grilled over mesquite or red oak to give your foods a flavor that is unmatched. 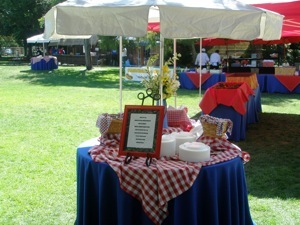 Our on-site picnic catering will awaken your senses with the look, smell and taste of "Top Notch" Barbeque. Menus can be as simple as hamburgers and hot dogs or can include some of our signature entrees that have made us legendary with our clients. Favorites include our Santa Maria Tri-Tip, St Louis Style Ribs, Chicken and Beef Kabobs and our themed menu options such as Kalua Pulled Pork or Grilled Mahi Mahi and Coconut Shrimp. All picnic menus include unlimited beverages, a jumbo all-beef hot dog station with our own country style chili along with all the fixin's, kettle cooked popcorn and an ice cream cart filled with assorted ice cream novelty bars. 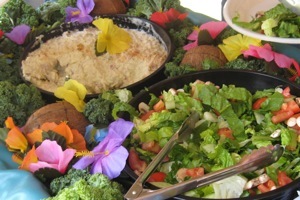 "The food was plentiful, well presented and most importantly, delicious!"